Scroll down to explore our Australian crafts for kids - including some aboriginal dot art, a homemade didgeridoo, a boomerang craft and a cork hat for the kids to make and wear! 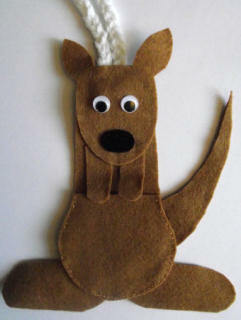 We've also got a whole section of Australian animal crafts and Australia Day crafts which you might want to explore. Children will enjoy using sticky dot stickers to create some of their own original Aboriginal dot art - and it's good for their fine motor skills too! Cork hats were traditionally worn by jackaroos and swagmen to keep the flies off their faces in the Australian outback. Now you can make your own! This is a fast and fun activity for kids studying Australia, or perhaps as an Australia Day activity. It lends itself as a group or class activity, too. Children will have fun designing and then decorating their own didgeridoo in bright colours. The final touch is added with small sticky dots! 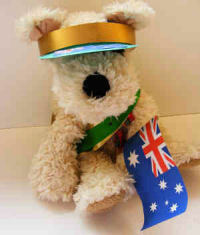 Looking for patriotic crafts for Australia Day? Look here!